TORONTO, March 21, 2019—Print samples have always played an important role at graphic arts trade conferences, providing tangible examples of what state-of-the-art printing, embellishing and finishing technologies can create. 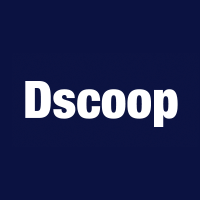 But, at this year’s Dscoop Edge event (Orlando, March 24-27), Avanti Systems and other top industry vendors will show how it’s done with maximum efficiency. The finished supersample, which can be collected at booth #909, demonstrates 15 ways in which print providers can differentiate their business and add value for their customers. Visitors can stop by the Avanti booth #142 for a demonstration of how Avanti Slingshot enables print shops to streamline operations and bolster profitability.